Rev. Wellington belongs to the Akimel O’otham (Pima) and Dakota Sioux tribes. 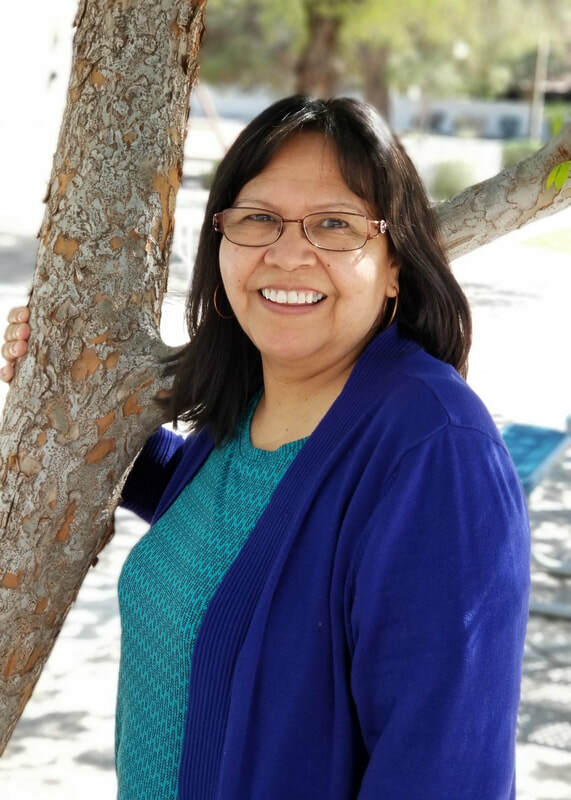 She received her undergraduate degree from Arizona State University in 1982, and was an elementary school teacher before going to seminary. She received her Master of Divinity degree from San Francisco Theological Seminary in 1988 and was ordained to ministry in 1989. ​Maggie Castellani - Adm. Assistant. This Journey was conceived in a decision that the Presbytery of Grand Canyon (Synod of the Southwest) would commence a new church development in Gilbert in 1982. Our current five acre site was purchased on January 15, 1982 by the Presbytery of Grand Canyon. Rev. Dr. Griffin began as the organizing minister for our church on Nov. 1, 1982. The first service was held on Jan. 9, 1983. Church members met at the Gilbert Community Center while plans and fund raisers were under way towards the construction of our current church. The 112 charter members were commissioned on Oct. 7, 1984. The ground breaking ceremony was held on Sat. April 11, 1987. Nearly one year later, the church was completed and held its first service on Sat. April 16, 1988.